Over the last 100 years, the UC ANR 4-H Youth Development Program has empowered California youth with the skills to lead for a lifetime. Youth develop their own pathways in 4-H. They can choose projects in STEM (science, technology, engineering, mathematics), healthy living, civic engagement and leadership. 4-H is the largest youth development program in the United States. Using research-based youth development practices, 4-H engages youth and adult volunteers in youth-adult partnerships, resulting in increased learning and leadership development. Young people participate in 4-H through community clubs, in-school and after-school clubs and programs, 4-H military clubs and 4-H camps. There are hands-on, learn-by-doing opportunities for everyone. We are committed to developing, delivering and evaluating program models that are culturally responsive to serve all Californians. 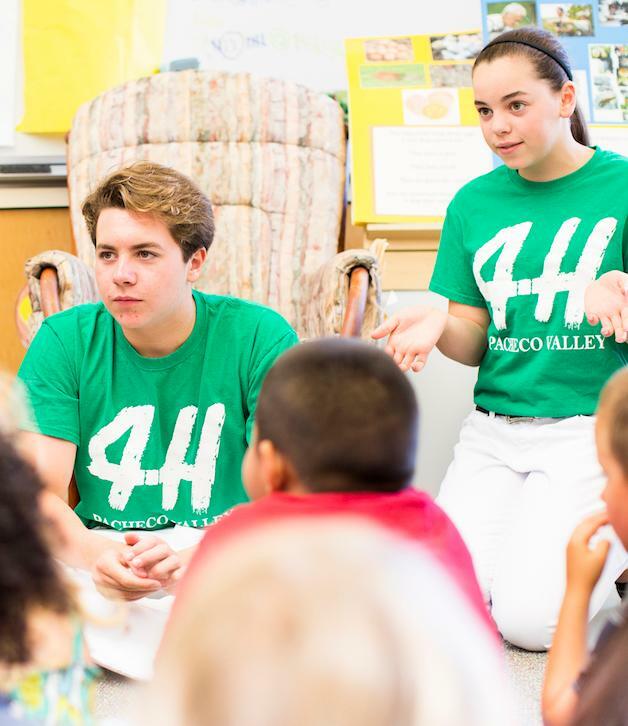 The 4-H program is open to young people and adult volunteers from all backgrounds, beliefs and locations in California.